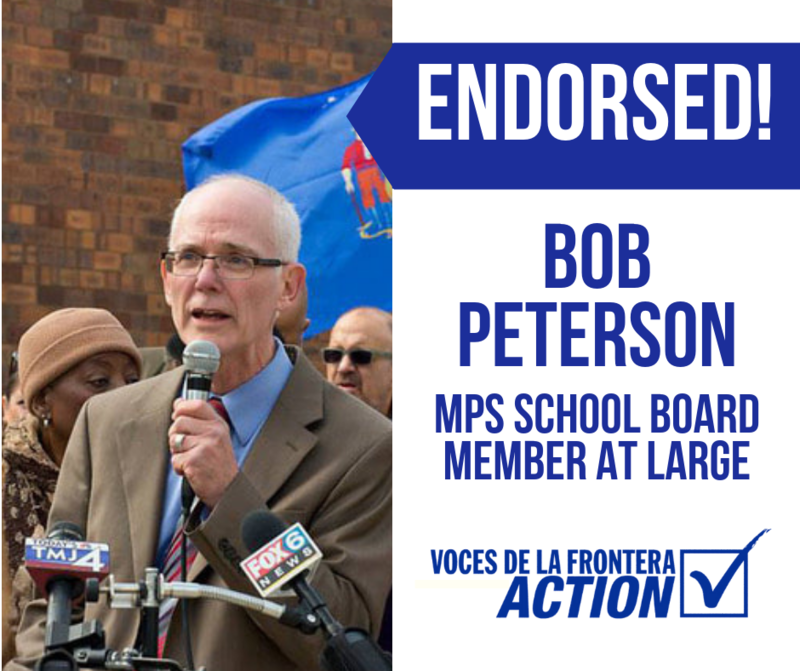 Voces de la Frontera Action is proud to endorse Bob Peterson, a former MPS bilingual educator, for Milwaukee Board School of Directors, at-large. “I have a life-long commitment to equality and bilingual education,” said Peterson. “I received my bilingual certification in 1985 and have taught in bilingual schools and classrooms for over 25 years and was one of the key founders of the La Escuela Fratney, Wisconsin’s first two-way bilingual school. 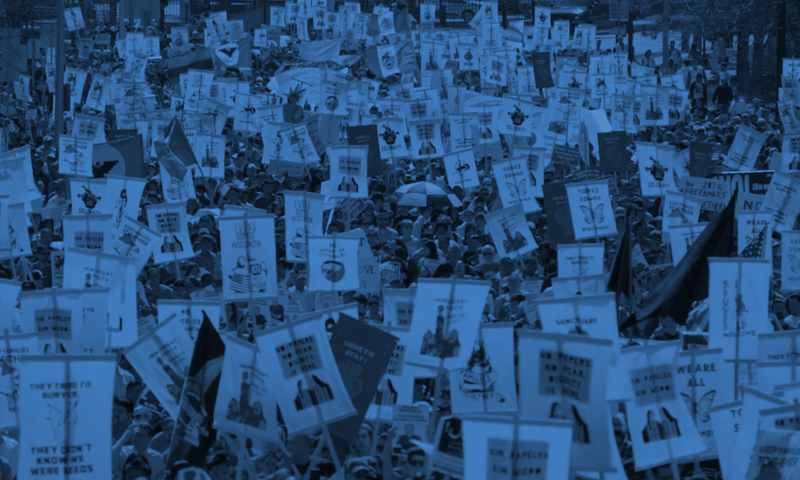 I am energized and committed to working with grassroots community groups like Voces and YES! to collectively secure policies and funding that best serve ALL the children and youth of Milwaukee.